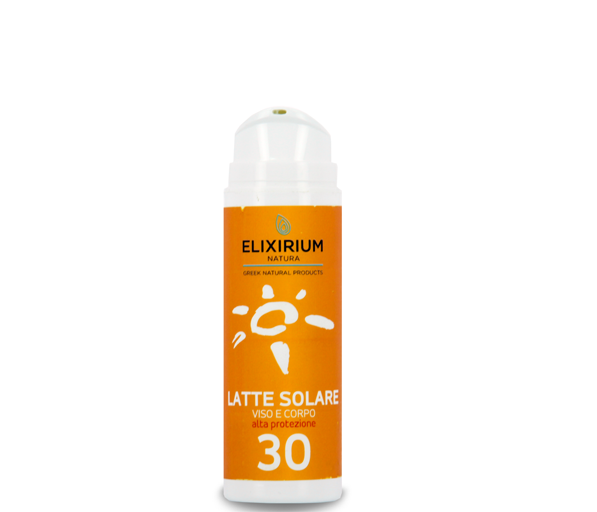 Elixirium Natura :: ELIXIRIUM NATURA - SUN PROTECTION FACE AND BODY MILK SPF 30. HomeElixirium NaturaELIXIRIUM NATURA - SUN PROTECTION FACE AND BODY MILK SPF 30. 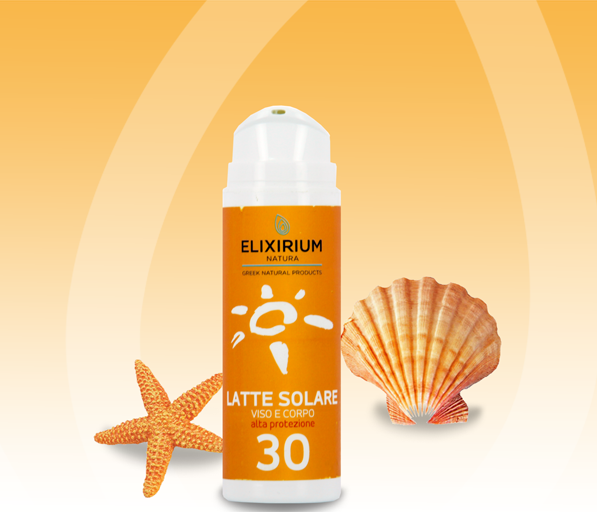 ELIXIRIUM NATURA - SUN PROTECTION FACE AND BODY MILK SPF 30. Fluid emulsion that guarantees an effective protection from UVA and UVB. Natural oils like Jojoba, Coconut and Apricot combined with Aloe Vera, Allantoin and Vitamin E exert a moisturizing, emollient and protective action. The Precious Oil of Monoi de Tahiti confers to the produced an enveloping and performing fragrance a repairing action. Indicated in the early days of exposure to the sun, for thin, sensitive skin, clear, delicate and subject to redness.